M-Press Fitting Reducer Coupling It's heat welding, quick, convenient and connection strength.It's also 100% of raw materials to produce products, not mixed with calcium carbonate and other miscellaneous materials to ensure product quality.This product has a welding stability, easy installation, long service life. The product has special features flexible: low-value rigidity, corrosion resistance.It's good elasticity and high pressure.It's of high quality with beautiful appearance, smooth surface. It's widely used in air condition,bathroom fittings ,water tube,and so on. 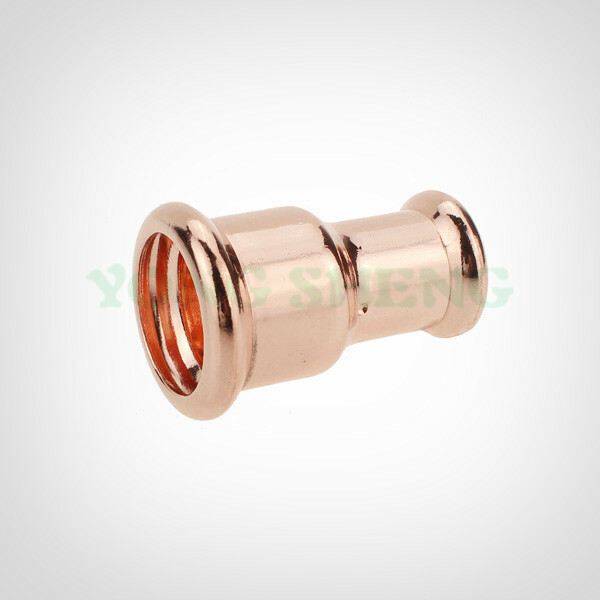 The Yongsheng Copper Press Reducer Coupling is used in residential and commercial systems such as potable water, air conditioning and refrigeration. The Plumbing Fitting Reduer Coupling is used when velocity is not a problem. In addition to its inherent qualities of beauty, durability and low maintenance, copper`s reusability makes it an ideal application in sustainable projects. Looking for Press Fitting Reducer Coupling Manufacturer & supplier ? We has a wide selection at great prices to help you get creative. 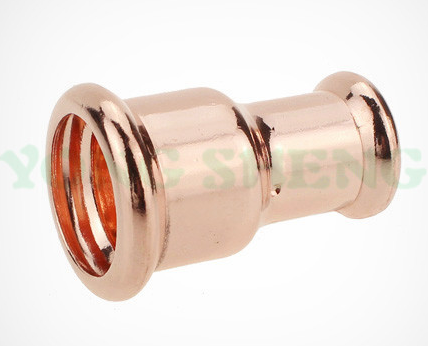 All the Copper Press Reducer Couplings are quality guaranteed. We are China Origin Factory of Elbow Fitting 45 Degree for Plumbing. If you have any question, please feel free to contact us. Looking for ideal Copper Press Reducer Coupling Manufacturer & supplier ? We have a wide selection at great prices to help you get creative. All the Plumbing Fitting Reducer Coupling are quality guaranteed. We are China Origin Factory of Press Fitting Reducer Coupling. If you have any question, please feel free to contact us.